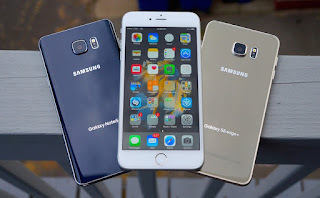 Home / best phone deals / best smartphone battery life / better than iphone 7 / latest samsung mobile / latest samsung phones / Samsung Galaxy S7 Edge / samsung galaxy s8 / samsung latest mobile / samsung latest phone / Which phone is better iPhone Or Samsung? Which phone brand is really the king of the industry? iPhone will say” I am number one in the industry” Samsung will say “what can iPhone do that I cannot do better”. But what really can iPhone do that Samsung can't-do? 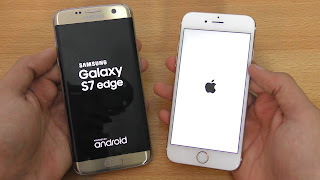 In this post I will use the iPhone 7 and Samsung s7 edge as a case study by analyzing, comparing the major features of both phones thoroughly. In today’s world smartphones with great cameras rule the market. In this aspect, the iPhone 7 narrowly outperforms the Samsung s7 edge. The iPhone has a front camera of 7 megapixels and a rear camera of 12 megapixels while Samsung s7 edge has a front camera of 5 megapixels. The Samsung s7 edge only came with 32 GB storage capacity but can be expanded to 200 GB via Micro SD but the good thing about Samsung s7 edge is that the build in storage is extremely fast. The iPhone 7 came with 32 GB, 128 GB and 256 GB which is a very large storage capacity. But there is no much difference between the two phones in this area. The Samsung s7 edge has an amazing huge screen size of 5.5 inches, resolution of 1440 by 2560 pixels and pixel per inches of 534 while the iPhone 7 has a screen size of 4.7 inches, resolution of 750 by 1334 pixels and pixel per inch of 326. Verdict: It is very difficult to separate this two kings of the mobile industry. It’s left to you to decide. Drop your comments below.